Newcastle United and manager Rafa Benitez have endured a difficult opening stretch to the 2018-19 Premier League campaign. The Magpies have yet to record a victory this season, earning just two points from their first eight fixtures. The team gave a good account of themselves in the first half of their recent meeting against Manchester United, but a late collapse produced a frustrating 3-2 loss. The pressure is certainly growing, as Benitez is clearly staring at another relegation fight with the Toon. The attack has been struggling, and the overall quality of the line-up has been overwhelmed often by some of the Premier League’s stronger sides. January will be an important time to add reinforcements, but the Spanish coach’s days may already be numbered on Tyneside. The Chronicle reported recently that he “fears” for the future of his job with Newcastle, as he believes he may not be around to complete the current term. 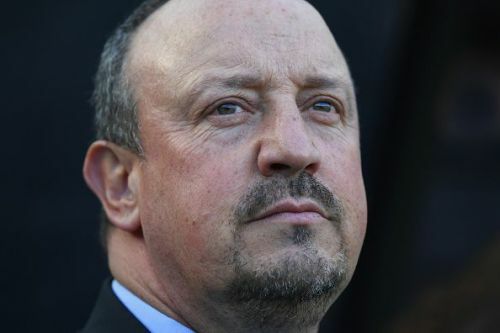 With his contract expiring at the end of the campaign and with seemingly no progression on talks of a new deal, Benitez and the fans do not have anything solid to point towards in terms of the situation changing for the better. This ultimately leaves the club and the supporters stuck in limbo, waiting for something positive to happen as poor results on the pitch continue to play out. Benitez has dealt with a variety of different issues since he signed with United in March of 2016. Unable to avoid relegation after the disastrous failings of Steve McClaren, he was able to return to the top flight in just one season, and a tenth-place Premier League finish in 2017-18 was a superb example of squad management and tactical ingenuity. But now his journey appears to be reaching a critical point. Benitez reportedly feels that owner Mike Ashley is afraid of a potential revolt from fans if the manager walks away at the end of the season, and there has been plenty of evidence lately to show that it would be true. From “If Rafa Goes We Go” to protests at Sports Direct shops, the Toon Army have been quite vocal about their feelings. Ashley may decide that it could be avoided if Benitez is gone before then. However, he also represents Newcastle’s best chance at survival, and a change in manager now will make things even worse. The reports coming out now are hopefully not a preview of what to expect for Newcastle fans, although they definitely provide a bit of insight. All this during the international break puts significant pressure on the players for the upcoming weekend, as a victory against Brighton on Saturday afternoon is truly vital. Newcastle United and Rafa Benitez will continue to battle for results this season. How long that battle continues for them together remains to be seen.